Races in the U.K. took center stage this weekend with a new course record at the historic Three Peaks Race among the achievements. Stateside, Olympic steeplechaser Anthony Famiglietti made his ultra debut and Karl Meltzer was again on top of a podium. Murray Strain improved on his seventh-place 2016 finish to win the 63rd Three Peaks Race. 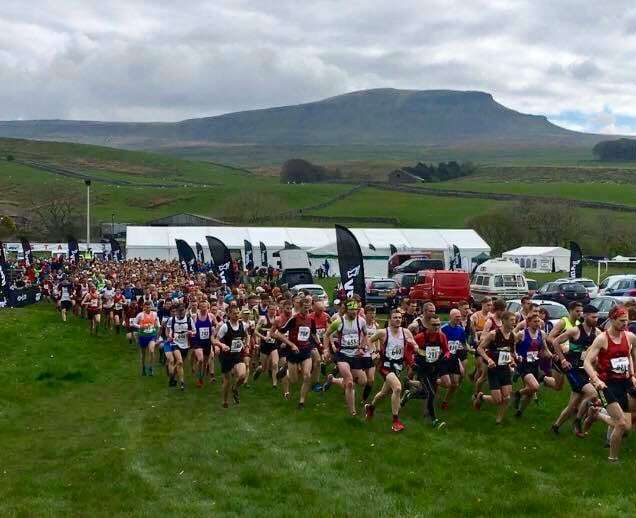 Nicknamed the “marathon with mountains,” the fell-running classic traverses the Yorkshire Three Peaks over about 23 miles distance while gaining some 5,300 feet of elevation. Strain finished in 2:49, four minutes in front of 2011 race winner Tom Owens, who was pushed back by a wrong turn. Christopher Holdsworth was third in 2:54. Despite the men’s successes, this race was all about women’s winner Victoria Wilkinson. Champion for the second-straight year, she ran 3:09:19 and cut five minutes from Anna Pirchtova’s 2008 course record. Wilkinson was 17 minutes better than a year ago. Nichola Jackson and Charlotte Morgan were second and third in 3:26 and 3:33, respectively. Fifty-three miles one way on the West Highland Way, the Highland Fling Race cuts through Loch Lomond and The Trossachs National Parks. 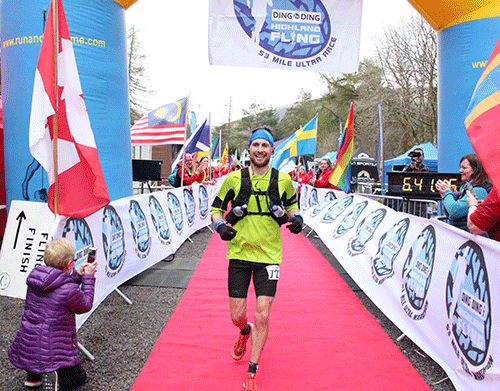 Rob Sinclair ruled the day, scoring a new course record with his 6:41:15 finish. Andrew Tuckey and Michael Jones followed with 7:17 and 7:29 marks. Women’s winner Nicola Adams-Hendry outran Morgan Windram, the pair finishing in 8:16 and 8:37. Third-place Rachel Newstead finished in 8:55. Bob Shebest has been racing a lot this year. 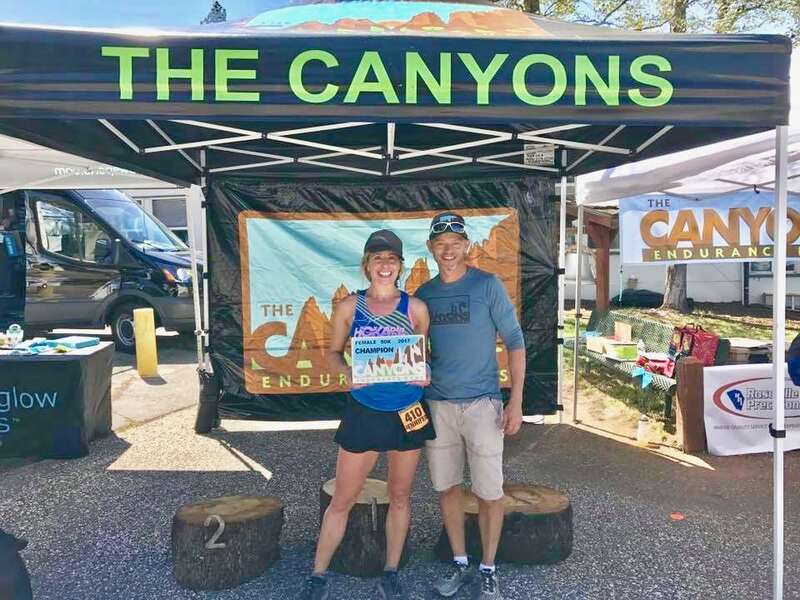 So what if The Canyons 100k wasn’t a Western States 100 Golden Ticket race, it had to feel good for Shebest to win after so many near misses. His 10:13 finish time made him a 20-minute winner, and a repeat champion at the fourth-year race. Women’s winner Cat Bradley ran 11:32, winning by over an hour. Her time ranks second all time at the event, and sits just a few seconds inside of Magdalena Boulet‘s 2015 winning time. Ultra upstart Cole Watson ruled the accompanying 50k in 4:21. He finished 23 minutes in front of second-place Ryan Ghelfi, and bettered Tim Tollefson‘s 2016 course record by 19 minutes. Women’s winner Jen Benna ran 6:08. Live 100k timing and full results (when available). 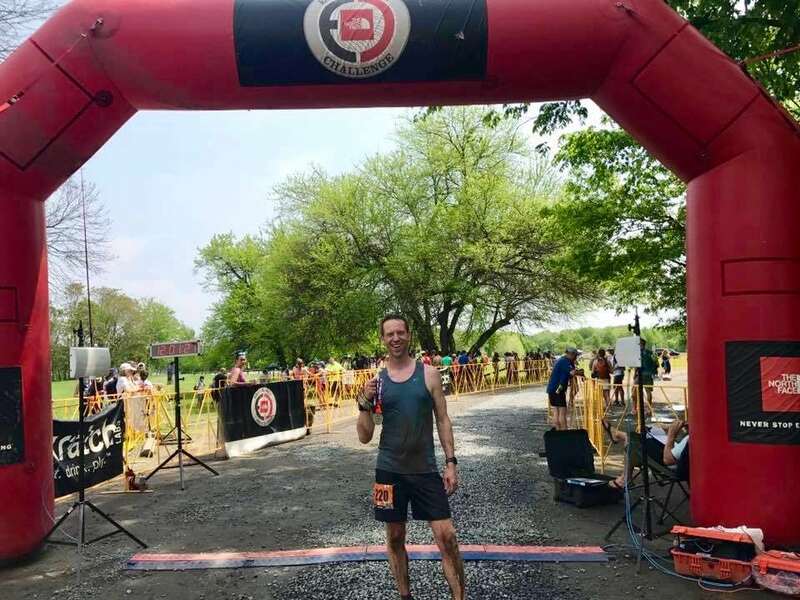 The weekend-long The North Face Endurance Challenge series of races filled the Algonkian Regional Park trail system. The 50-mile race was close with Stephen Tucker dipping under the seven-hour mark by 10 seconds to finish in 6:59. He was three minutes up on second-place Adrian Spencer. Women’s winner Michelle Milner ran 8:13. In the 50k, Rudy Kahsar ran for the win in 3:55, and Abby Levene was second overall in 4:10. It was close, but Michael Wardian was an 82-second winner at California’s Big Sur Marathon. Wardian, who was second here in 2015, won in 2:30:29. Full results. Daytime temperatures reached 90 degrees Fahrenheit, but Caroline Boller went all in at Maryland’s C&O Canal 100 Mile. She split 6:40 for 50 miles and finished in 16:51. Boller was the overall winner and also set a new course record. Full results (when available). The all-downhill Mt. Charleston Marathon in Nevada drops 5,126 feet, and Ian Sharman took advantage of it. He ripped off a 2:21 finish, hitting PRs at 5k, 10k, 10 miles, and half marathon on the way. Full results. 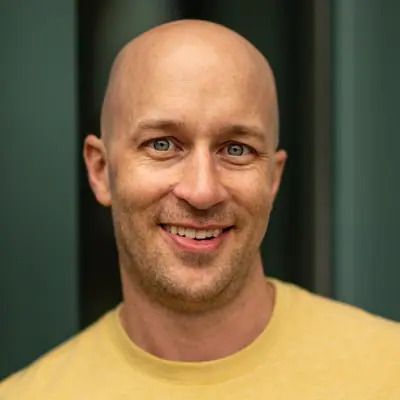 Occasional ultrarunner David Kilgore ran 1:17 for the half-marathon course in Florida, winning his third USA Beach Running Championships. It was a new course record, and Kilgore won by nine minutes. Full results. Centurion Running’s Thames Path 100 Mile stretched between Richmond and Oxford in England along the flat Thames Path National Trail. Michael Stocks was the men’s winner in 14:57 and Mari Maurland bested the women in 16:55, finishing fifth overall and more than four hours ahead of second place. The Kings Mountain Marathon, held at its namesake state park in South Carolina, was led by Patrick Reagan with a 2:37 winning time. Leigh Jackson beat the women in 3:22. Full results. Coming back from long-term injury, Amelia Boone won the half-marathon race at the Rodeo Beach Rumble in the San Francisco Bay Area, California. Boone’s 1:37 was just 24 seconds off the overall winning time. Full results. In Oregon, Ryan Kaiser won the second-annual Tillamook Burn Trail Run 50 Mile in 6:46. Women’s winner Jameson Clover covered the forested route in 8:58. It appears there was an accompanying 50k, but results aren’t yet available. Full results (when available). The Kansas Heartland 50 Mile race saw Stormy Phillips and Jaclyn Long run 7:28 and 9:22 to win, and in the accompanying 50k, it was Brady Poskin and Michaela Gustafson out front in 4:10 and 5:56. Full results. Elsewhere in Kansas, the fifth-annual Flatrock 101k looked wild. Deep river crossings and steep, rooty climbs kept all but 12 runners from finishing. David Box and Mindy Coolman were race winners in 12:06 and 16:56. Full results. Marc Laveson and Jordan Wirfs-Brock were Capitol Peak 50 Mile race winners in Olympia, Washington. The pair went for 7:17 and 9:07 runs. Full results. Michael Owen and Brian Rusiecki went one-two in 4:31 and 4:48, respectively, at this Virginia race. Women’s winner Rian Landers-Ramos finished in 5:48. Also, was this former Olympic steeplechaser Anthony Famiglietti’s ultra debut? Fam ran 5:13 for ninth place. 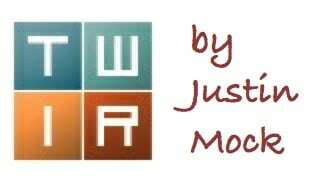 UltraSignup shows he’s registered for this fall’s Run Rabbit Run 100 Mile. Full results. Karl Meltzer won the 28th annual Zane Grey 50 Mile in Arizona, finishing the rough and rugged race in 9:32. Women’s best Amber Reimondo won in 11:29. Full results. Forty-year-old Swiss mountaineering legend Ueli Steck died while climbing Nuptse in the Nepalese Himalayas on Sunday, April 30. Not much has been said about the incident yet, except that it appears he fell several thousand feet. iRunFar interviewed Ueli way back in 2011 to learn about his fast-and-light mountaineering style where he used running to speed up his mountain climbing. Our sincerest condolences go out to his family and friends. It reads as a big weekend, but we know that there were other races out there, too. Use the comments section below to add more race results! Max King won the Tillamook Burn 50k in 4:07. Not sure who won on the ladies side. Ashley Cordell won for women in 4:50, she was 5th overall. I’m sorry for the typo, that should be Ashley Nordell. Caroline Boller is a rock star! What an awesome performance in tough conditions! Always very cool to see an older woman beating all the men and younger women. I hope IRF does an interview with Caroline on this great result. Sad to hear about Ueli Steck. Another talented young person dying in a very risky sport. Notable performances by the two Boiseans, Bow Angemi and Rick Valentine going 4th & 5th at ‘Zane Gray.’ They’re regularly seen training together in the Boise Foothills!